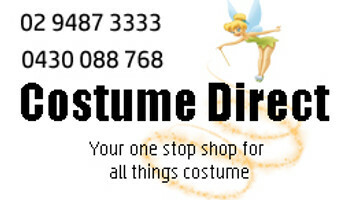 Costume Direct's wide range of Costume Make up ship fast to your door from Sydney, Australia! Costume Direct has selected a wide range of the Mehron products specifically suitable for themed Dress-Up Parties, Halloween, Clowning, Professional Body & Face Artists, Theatre, Cinema, Television, Face Painting and Theatrical Educational Institutes. The Mehron range available in Australia from Costume Direct will grow and grow.